Quick Tip: 2.1 Channel System or Floorstanding Speakers? A recent Wall'o'Fame submission of a customer's beautiful 2.1 channel system got me thinking: how do you know if you're better off with sat/sub combination or two floorstanding speakers? Turns out the answer is pretty simple: it's a matter of taste! A bookshelf-speaker-and-subwoofer combination can do an excellent job of reproducing both highs and lows. It's a significant step up from the speakers built into your television, and it does a great job of providing high-quality sound in a small room, den, dorm, or an apartment where running wires for surround sound isn't feasible. It's also a great step into 5.1 channel home theater if you're building your system as budget allows. 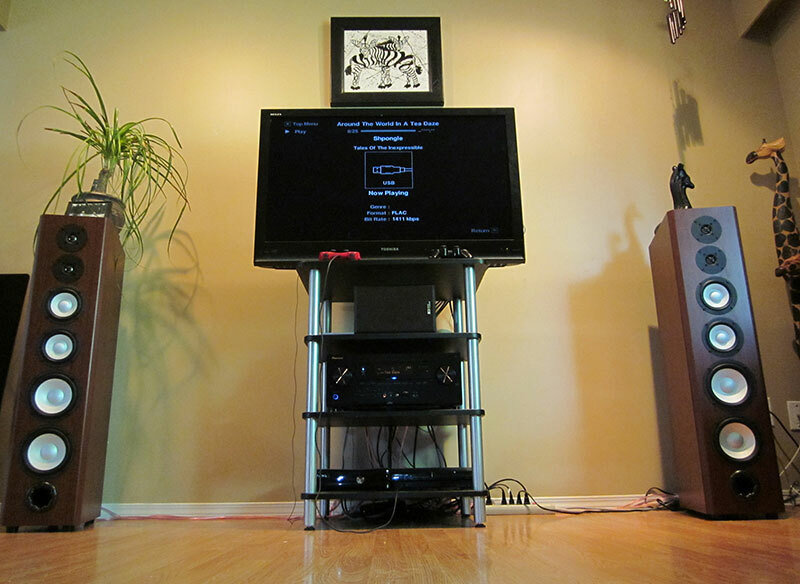 Two floorstanding speakers are another way to approach a new audio set up in your home. By sheer volume of the cabinet, they produce more bass than a bookshelf speaker, and in some rooms you'll get enough bass without feeling the need to add a sub. 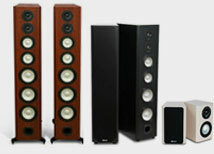 Floorstanding speakers are often a three-way design, and the crossover is designed to separate the high, midrange, and bass frequencies. It's defacto a fuller sound than a bookshelf speaker and a subwoofer, but with careful crossover adjustments you can do a good job of getting all the frequencies from bookshelf speakers. For more information on setting up stereo speakers, read Alan Lofft's article entitled "Stereo Set Up Guide: What The Pros Know." 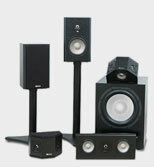 Some floorstanding speakers, like Axiom's, have ports in the front or back. These speakers are referred to as bass reflex speakers, and they use the port to move more air through the cabinet. 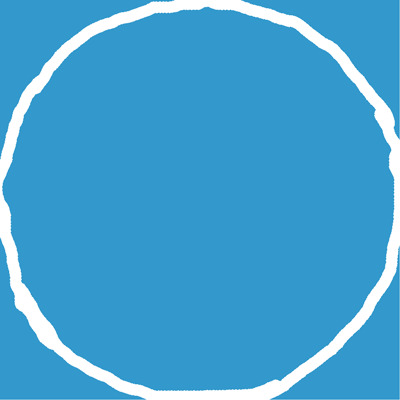 If you're fresh out of physics class, you'll recall that the more air you move through a speaker, the louder it can play. Floorstanding speakers are definitely the right choice for larger rooms, and if you know you won't be adding a sub at any point they're a great choice for getting a full range of sound in just two boxes. 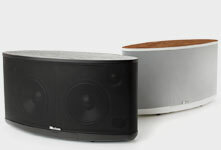 What do you prefer - a bookshelf-subwoofer 2.1 channel system, or a great pair of floorstanding loudspeakers? Let us know! I've been playing & tweaking my M2/EP-400/tube-amp/SACD system since I got back from my trip. Over time, I'm more impressed than ever with the performance of this diminutive audio only system. It has proven to be more than capable for my largish room. The M2s provide wonderful clean mids & highs with absolutely no listening fatigue while the EP-400 is a tremendous performer in the low end - no problem with vibrating my hardwood floor & couch. 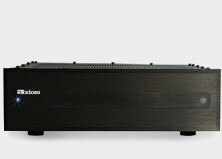 From what I've heard from all of the floor standers that I've auditioned locally (no Axioms unfortunately), I haven't heard any that provide better sound & especially bass extension than my system does. These brands included fairly large Tannoy, Klipsch, Polk, Energy, Focal, Definitive Technology, etc. For audio only, I think that smaller 2.1 systems can easily rival their bigger brothers for moderate listening levels & look good as well - nice WAF.